The Israeli army on Thursday wrapped up a two-month-long military exercise simulating conflict with the Hamas-run Gaza Strip, according to Israeli media reports. 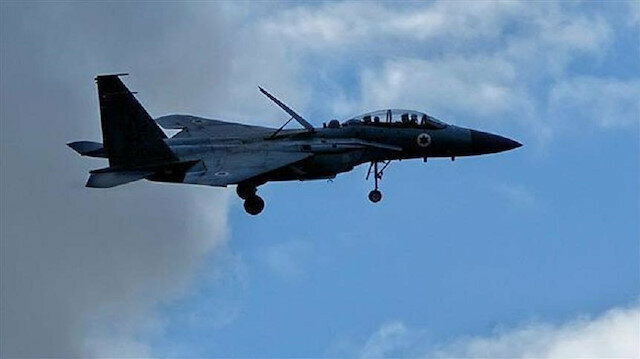 The Jerusalem Post quoted a military official as saying that the Israeli army’s Kfir Brigade had conducted the drills, which were carried out at the brigade level and which “simulated a conflict with Gaza”. The infantry brigade was established in 2005 to put down Palestinian protests in the occupied West Bank and Gaza Strip. In a Thursday statement, Israeli army spokesman Avichay Adrae said the just-concluded drills had included “ground maneuvers” and “urban combat scenarios”. Israel on Thursday released two Palestinian children following three years of detention, according to a Palestinian NGO. “The Israeli authorities have released the two minors -- Shadi Farah, 15, and Ahmed al-Zatari, 15 -- from northern Israel’s Tamra detention center,” the Palestinian Prisoners Society said in a statement. “Farah and al-Zatari were both arrested in December 2015 and were later sentenced to two years each behind bars and a fine equivalent to $1,400,” the NGO added. The pair was convicted on charges of attempting to “inflict serious harm” on Israelis. Although the children were sentenced a full year after having been detained, the year spent in custody was not deducted from their jail terms. According to Palestinian figures, some 6,500 Palestinians -- including scores of women and hundreds of minors -- are currently languishing in Israeli jails. The Jerusalem Post quoted Kfir Brigade Commander Zion Ratzon as saying: “I’m confident that after two months of intensive training… we are better prepared for the next campaign”. According to the newspaper, the drill was the 11th brigade-level exercise to be held by Israel’s military this year. In mid-2014, a massive, weeks-long Israeli assault on the blockaded Gaza Strip left more than 2,300 Palestinians dead and much of the enclave’s vital infrastructure in ruins. According to Israeli figures, 70 Israelis -- 65 soldiers and five civilians -- were also killed in the conflict. Israel has decided not to appoint a new ambassador to Turkey, in response to Ankara's decision not to return its own ambassador to Tel Aviv.Emmanuel Nahshon, a spokesman for the Israeli Foreign Ministry, said on Thursday that Israel had decided not to appoint a new ambassador in Ankara to replace former Ambassador Eitan Naeh, the Israeli Broadcast Authority reported.Tel Aviv also decided not to appoint a new consul in Istanbul, the official said, saying that this move comes in line with the principle of reciprocity. "However, it is in Israel's and Turkey's interest to fully restore diplomatic representation," Nahshon said.This May Turkey deported the Israeli ambassador and recalled its ambassador in Tel Aviv over the Israeli killing of peaceful protestors in the blockaded Gaza Strip. The Palestinians will not accept any peace settlement with Israel without Jerusalem as the capital of an independent Palestinian state, a Palestinian official said Wednesday. "There can be no political settlement without Jerusalem; Jerusalem is the capital [of Palestine]," Palestinian Ambassador to Egypt Diab al-Louh, who also serves as Palestine’s permanent representative to the Arab League, said.“We will not accept any political plan that does not explicitly include the establishment of an independent Palestinian state on land occupied [by Israel] in 1967,” al-Louh said in a Wednesday address delivered at the Arab League’s Cairo headquarters.He delivered his address on the eve of the UN’s International Day of Solidarity with the Palestinian People, which is marked every year on Nov. 29.Al-Louh also used the occasion to reiterate the Palestinians’ longstanding rejection of “a state with temporary borders and transitional solutions”.“Nor can there be any settlement without a just solution for Palestinian refugees, who currently number some 5.4 million worldwide,” he said.